Doing business with DEX means doing business better. We offer several unique benefits you can’t get anywhere else, each designed to get you ahead. Not limited to just one manufacturer’s brand, we offer the best equipment from the world’s leading manufacturers, tested to our stringent specifications. Service for all makes and models of imaging equipment, not just one manufacturer’s line of products, making us a one stop shop for service. Custom-built regional headquarters fully stocked with supplies to keep you up and running. Vast in-house service expertise with high employee retention and an industry-leading Profit Sharing Program . In-house R&D developing industry-defining technology exclusively for our customers. Proprietary document management and MPS solutions help you control costs, leverage efficiencies and better manage your workflow. Giving back to the community where you live with every page you print. Not just limited to one manufacturer's brand, we beta-test all the latest technology from the world's highest-rated imaging companies and sell only the models that meet our stringent specifications. Anyone can claim to be an expert – we've earned it by putting in the effort to build, train and develop one of the most knowledgeable, dedicated teams in ours or any industry. Our investments in Regional Headquarters, Research and Development and the communities we serve prove our commitment to doing business better. With the purchasing power of the nation's largest dealership representing numerous imaging brands, we offer both choice and affordability, then independently evaluate every model before we sell it. Our competitors simply sell the products they manufacture. Besides the many models we sell, we service far more – in fact, we repair all makes and models of imaging equipment. No matter your mix of old and new, we are the one place to turn to for service. Far beyond selling equipment we provide expertise. That's why we formed E-Merge, an in-house research and development skunkworks with 13 patents to its credit. Experience matters. For over four decades we've pioneered countless innovations to help you do more with print. As a privately held company we are free to focus on you, staying independent of shareholders or the whims of Wall Street. We value true talent and cultivate employee expertise, and that's why we've created programs such as our industry-leading Profit Sharing Program. It ensures high employee retention, maintaining our ongoing legacy of information and stability for you. Far from simply renting a warehouse, we take the time to build regional Headquarters in every community we serve. Not only does this improve local infrastructure, it also prepositions much-needed parts and service personnel close by for fastest service. The needs of our customers led us to pioneer industry-leading systems and software such as PrintCounts&#x2122;, Print Patrol&#x2122; and DEXDOX&#x2122; to help you scan, manage, monitor and maximize the value of every page you print. Our help system goes beyond a phone call, beyond an email or dispatch of a DEXpert technician. We've built an integrated system that guides you to a solution from the first hint of trouble simply, quickly and without technical jargon. We're committed to give back - that's why we donate 1/3 of our profits to the communities where we do business. 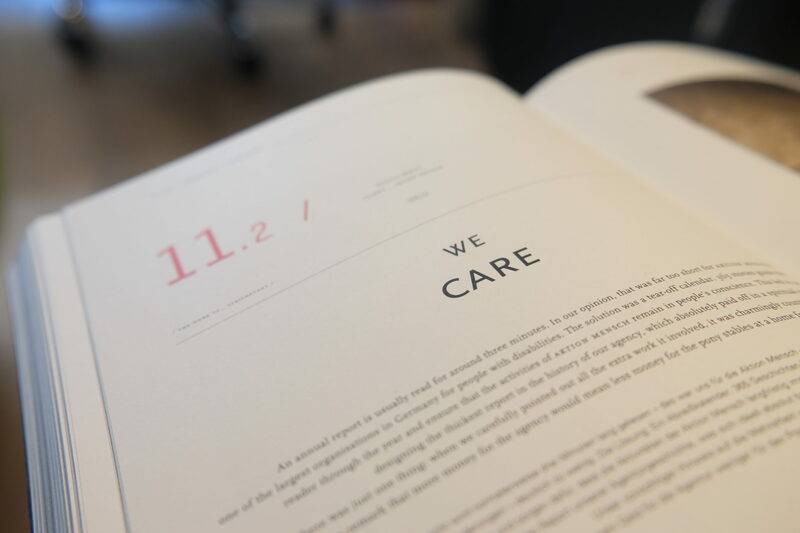 By being a DEX customer, you help with every page you print. From the start we were conceived to be an independent equipment dealer, offering products from the top manufacturers – Kyocera, Konica Minolta, Canon, HP and others – and free to choose the best equipment for any size business and any needs. Though seemingly a subtle distinction, this actually makes a huge difference in the quality of service you receive. Traditional dealerships only offer one brand, and can only outfit you with the models they’ve been authorized to sell. So you end up with limited choices for each niche and need. If that model is out of stock, or has a design flaw, or experiences problems that affect supplies or replacement parts, you are stuck. We’re free to find the best fit for you, not sell you the latest model or the one that needs to be cleared out of inventory. We test every model from every manufacturer to determine how it will work best, then offer this expertise to you. And we can benefit from an industry-wide perspective on how to meet your needs. You’ll find very few companies in the document and imaging industry that last for long, and none with our pedigree and track record of industry innovation. Starting in 1977, our founder created Danka Business Systems, later selling it to Konica Minolta Business Systems before founding DEX Imaging with his son. Since 2002 we’ve been a locally-focused, family-owned company with the footprint of a national firm. We’ve stayed independent and privately held since our inception so we can chart our own course and stay free to innovate without the usual restrictions imposed by shareholders and corporate interests. Our business model is unique but simple: to bring together the finest office equipment available with award-winning service and expertise to create a complete document solution for businesses of all sizes. Along the way we’ve been privileged to hire some of the industry’s leading experts shaping the future of print. With their expertise and our history, we’ve created a company unlike any other, and dedicated to your success. We recognize that the key to being proactive is knowledge and always looking for the best solutions. That’s why we’ve developed unique tools to provide insights into how your business is using its printing and copying resources. PrintCounts™ is a software package that provides detailed information on every page you print. And our unique Patrol appliance is a network-aware self-configuring device that queries every printer on your network, gathering the information needed to stay ahead of failures. DEXDOX™ allows you to easily organize, access, and manipulate your paper and electronic information for use in a wide variety of applications. No new software or hardware to buy; if you have a scanner you’re in business. Together these unique innovations, combined with DEXpert service and best-in-class equipment, allow us to provide a unique set of solutions to your document and imaging equipment needs. Our exclusive training program produces DEXperts, hand-picked technicians and support staff that have been trained exclusively through DEX University to work with a variety of copier and printer technologies, manufacturers and models. We certify our DEXperts so they can get you up and running quickly, without mistakes that cost you downtime. Backed by a company that values efficiency and works hard to make your experience smoother every day, our DEXperts are free to shine. Plus, we’re trained to fix any model – so if you decide to keep old equipment when you expand, we’ll be able to support your entire print infrastructure. Our industry-wide depth of perspective is due in large part to the combined experience of our employees. We value their learning and trouble-solving skills and reward them for helping you. Every year we offer participation in our Profit Sharing Program to our best employees, confirming our commitment to them and providing incentives to continue to lend their expertise to solve your most difficult questions and issues. Over time we’ve built a considerable in-house human knowledgebase by valuing the hard-won experience of our staff. That is why our DEXperts stay with us for years, investing their well-honed troubleshooting skills and constantly becoming a better, unique resource for you. Far from just a number to call, our E-Help service provides the right level of service exactly when you need it. We staff our own state-of-the-art tech help centers that are available via phone, chat or email around the clock, unlike mom-and-pop or big-box stores. Our E-Help Centers provide instant help over the phone, and in most cases can assist you without a time-consuming service call – we can actually see your screen and understand how to help remotely. When a service call is needed, we’ll route you directly to our extensive network of GPS-enabled, centrally dispatched DEXperts each provided with a company-owned vehicle fully stocked with hard-to-find parts. This reduces downtime by getting the right technician to you quickly – in hours or less – equipped with the right tools and parts, right away. At every stage we’ve made the investments in resources and personnel so you can be sure to get the fastest, high-quality response. We call it DEXpediting – giving our DEXpert technicians all the tools they need to keep you up and running smoothly, efficiently, and with minimal downtime impacts on your business. Most retailers don’t have their own in-house research and development departments, since their commitment to you ends with the sale. For over 40 years we’ve been a leading voice for technical innovation and growth in our industry. This has led to us to understand that our knowledge can also be put to good use in driving the customer experience forward. As a result, we formed our E-Merge, in-house R&D department, over a decade ago. It develops software, technology and hardware solutions to common customer print problems and has been awarded 13 patents for the technologies underlying our own PrintCounts™ and Patrol Print Appliance products. Part of our success has been an investment in infrastructure on the local level. We’ve developed our own exclusive network of Regional Headquarters built on a standard operational model that streamline our efficiency and lead the way to customer success by providing nearby assistance and support..
That’s why we buy land and build our own regional headquarters buildings in all area where we do business, each fully stocked with parts and supplies to get to you quickly. Our local presence means you always have a nearby resource you can trust to be there when you need them. From each one, we dispatch DEXperts that respond to your needs in minutes, not hours. Each one is GPS-enabled and drives a company vehicle stocked with thousands of hard-to-find parts and supplies, eliminating shipments and return visits. Most companies weren’t formed to commit their profits back to the communities that help them prosper, but we were conceived with the mandate to do exactly that. Why? Quite simply, we know that building a better place to live starts with each and every one of us. By making that commitment ourselves, we provide a powerful and enduring example that proves the power of philanthropy to create a better community for our customers, staff and facilities. Together we’ve donated millions of dollars to charities, the arts, educational programs, entrepreneurial programs, children, mental health initiatives and those in crisis and in need, as well as music, sports and entertainment events that benefit the community at large. Most importantly, your decision to do business with DEX is a vote to help the community where you live. With every page you print, we donate a third of our profits back to the programs that make your community safer, more fun, and better prepared for the future.